City manager Wally Bobkiewicz, Jill Cabot and Alisa Kaplan stand in front of members of the Human Services Committee meeting on Monday. The committee held off on further discussion regarding the Evanston Animal Shelter and its future in its meeting. Aldermen held off Monday night on selecting a volunteer animal organization to take over operations at the Evanston Animal Shelter. The additional time will allow city staff to sort out specifics for the shelter’s future, including plans for fundraising and animal care, Ald. Jane Grover (7th) said. Officials will also use the time to finalize the city’s terms of agreement for the volunteer organization it chooses, she said. When no clear fundraising plan was presented, the committee decided to hold off selecting an organization until city staff could create a set of fundraising guidelines. The Human Services Committee will wait until its meeting next month to consider a recommendation from the Board of Animal Control, established to oversee reports on the animal shelter, to pick Saving Animals for Evanston — known as SAFE — as the new operator of the shelter at 2310 Oakton St.
Evanston police and volunteers have been running the shelter since city officials cut ties with the shelter’s previous operator in April 2014. Community Animal Rescue Effort refused to cooperate with the city, officials said at the time, following concerns over the organization’s practices — especially its roughly 45-percent canine euthanasia rate in 2012. The board ultimately chose SAFE over the other organization that expressed interest, Tree House Humane Society, because of the work SAFE volunteers have shown while helping out at the shelter over the past 10 months, said Jill Cabot, the board’s vice chair. She added that Tree House did not provide details to city officials on its staffing and on-site management for the shelter. 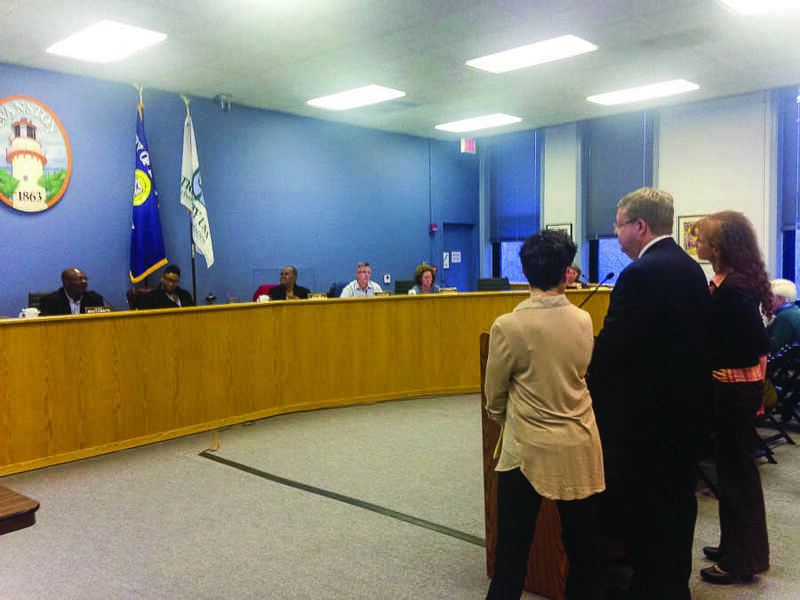 However, aldermen said Monday they want to continue to look for other organizations as potential options. Ald. Mark Tendam (6th) said he wants to explore other volunteer groups to partner with to see if the structure and organization of the shelter could be strengthened. Tendam also said he wanted to avoid another partnership like the one the city had with CARE. “I just want to protect our community, our dogs, the money we raise, the things we accomplish from another experience like this,” Tendam said. The Human Services Committee also heard updates from city staff about a new initiative at the Gibbs-Morrison Cultural Center, 1823 Church St., to rent out kitchen and recording studio space to local Evanston businesses. Under the proposal, cultural, educational and recreational programming would occupy the space.